WASHINGTON — Three American soldiers were killed and another was wounded in eastern Afghanistan on Saturday, allegedly at the hands of an Afghan soldier who opened fired on them. 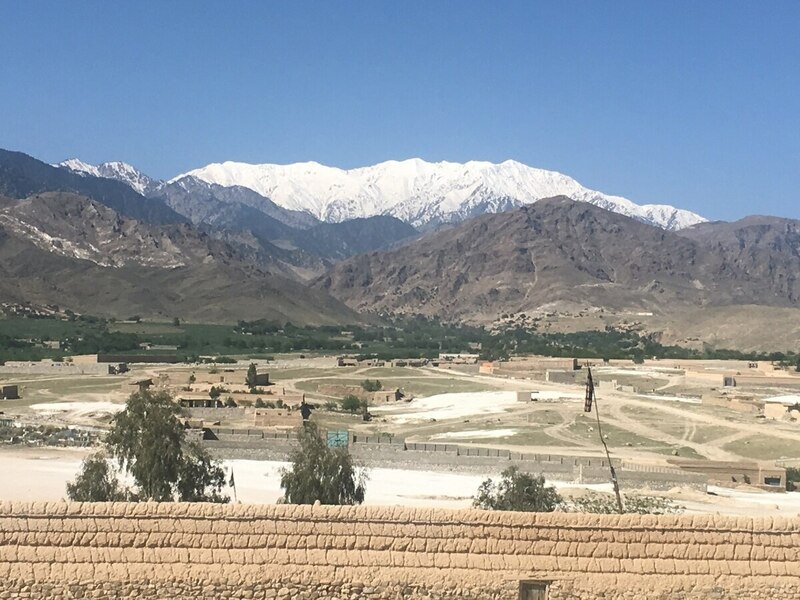 The apparent insider attack occurred in Achin, an Islamic State stronghold along the Pakistan border in Nangarhar province. A spokesman for the provincial governor told The Associated Press that the Afghan soldier was subsequently killed. The Taliban claimed responsibility, saying it had infiltrated the Afghan army unit determined to kill Americans. Reports from Afghanistan initially indicated two Americans were dead and two were wounded, but the toll was later adjusted. A statement issued by the Pentagon on Saturday afternoon says the matter is under investigation and the soldiers' families are being notified. The wounded soldier was evacuated for medial care, it states. No other details were disclosed, and officials with the NATO command in Kabul did not respond to several questions from Military Times. Footage provided by Afghan Local Police, from the site where the U.S. Forces - Afghanistan conducted a strike against an ISIS-K complex in Achin District, Nangarhar Province, Afghanistan on April 14th 2017. The strike is part of the U.S. campaign to destroy ISIS-K in Afghanistan in 2017. The munition used, the GBU-43, is designed to destroy caves and tunnels, which ISIS-K had been using to move around the battle field and protect themselves from attacks from Afghan and U.S. Forces. Members of the Army's 75th Ranger Regiment and 7th Special Forces Group have been operating in Achin, which has become the scene of worsening violence as U.S. special forces and elite Afghan commandos intensify their efforts to take out ISIS loyalists there, a group known as ISIS Khorasan or ISIS-K. Three other American soldiers have died there so far this year, including two Army Rangers reportedly gunned down in an friendly fire mishap. ISIS Khorasan is an affiliate of the Islamic State's core network in Syria and Iraq. It receives tactical advice and some financial support from outside Afghanistan, but U.S. officials have said it does not appear there's been an influx of fighters from either country. An estimated 400 to 700 ISIS-K militants are active throughout Nangarhar and Kunar provinces, officials said in late-April. Hoping to flush ISIS from its stronghold in Achin, American and Afghan forces launched Operation Hamza in early March. Apart from regular ground battles, the U.S. launched a massive airstrike on an ISIS tunnel complex in mid-April. The attack left upwards of 100 militants dead. U.S. troops remain at risk elsewhere in the country. In mid-March, three U.S soldiers were shot and wounded in another apparent insider attackat an Afghan military complex in Helmand province, where a Task Force of 300 U.S. Marines is embedded with the Afghan security forces. Saturday's attack comes as the Trump administration debates sending up to 5,000 additional American troops to step up counter-terror operations and help break what senior military leaders have declared a stalemate in the 16-year war with the Taliban. Today, approximately 8,000 U.S. troops are deployed to Afghanistan as part of two separate operations. The larger of the two, known as Resolute Support, is focused on advising and assisting Afghan security forces with the goal of enabling them to independently protect the country's populace from a resilient Taliban. The other is a counter-terrorism mission called Freedom's Sentinel. It comprises mostly elite special operations troops and remains focused on targeting ISIS-K and the many al-Qaida affiliates present in Afghanistan. The path ahead is said to be a matter of disagreement among President Trump's top advisers, some of whom are apprehensive about deepening America's commitment when the outcome remains uncertain at best. The Pentagon supports sending more troops and having them begin to work with the Afghans in smaller units that operate closer to the action. During a news conference last month, Defense Secretary Jim Mattis indicated a decision on troop numbers was coming "very, very soon." His top general, Joint Chiefs Chairman Joseph Dunford, said that while he was encouraged by recent talks with his NATO counterparts and their "enduring commitment," a decision hinges on the president's takeaway from a recent summit of alliance members in Brussels.